Open a supported browser. For a list of supported browsers, please see our System Requirements. Enter your email address and password that you used to sign up for Real Appeal Effect. Five minutes before the start time of your session, a flashing JOIN button will replace the countdown timer in the upper right corner of your screen. 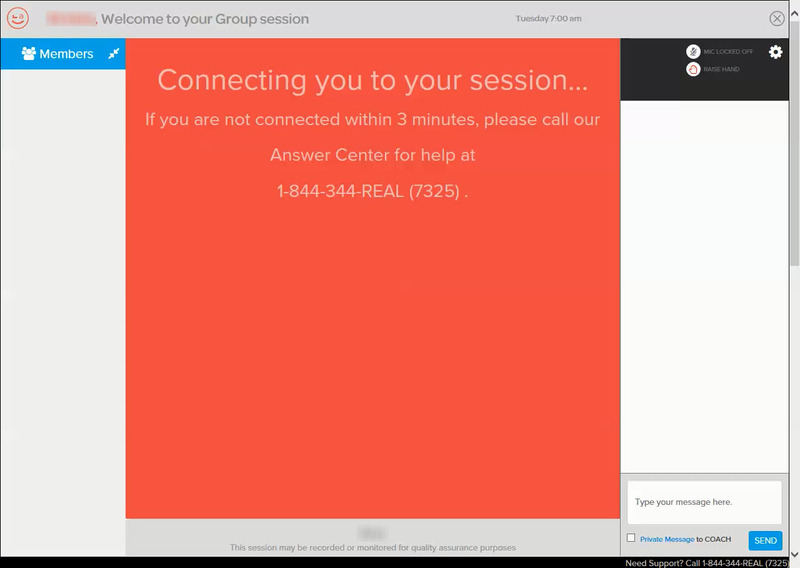 Click JOIN to be connected to the session. After your coach has connected, you will see your coach on live video in the center of your screen. Also please feel free to contact us if you need additional support. We can be reached at 1-844-934-REAL (7325) or at effect@realappeal.com. Our hours of operation are Monday through Friday from 4 am to 8 pm Pacific Time.